The Internet was initially designed for the exchange of information and was used specifically for that purpose exclusively by hospitals, universities, and DARPA for the first twenty-five years of its existence. In 1994, when the Internet became a public domain, (it was previously under strict government control) it quickly caught on as the most explosive new advertising medium since the dawn of television in the 1940s. 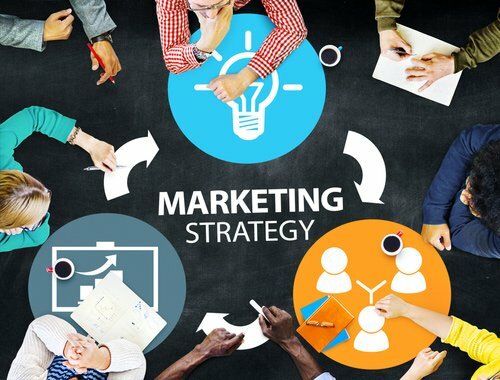 Modern marketing strategies, particularly where small business is concerned, is almost exclusively Internet based as we move into the twenty-first century. SmallBusinessSEO.com is here to help ensure you get the absolute most from your small business’s Internet presence! From your social media, (which we talk more about in this article to your company’s website which is probably your company’s single most significant corporate identity factor. Your company’s website is perhaps the paramount aspect of your Internet presence. You use it to showcase literally everything about your business from your mission statement and company history to your special offers and present product/service line. But how do people find it? That’s where SmallBusinessSEO.com comes in. We offer the very best in Search Engine Optimization (SEO), ensuring your customers, and perhaps even more importantly, your potential customers can find you among a literal plethora of sites offering similar products and services. Posting regularly timed blog articles is an integral part of your company’s SEO strategy. Your blog posts keep your customers (and potential customers) up to date on everything pertaining to your company and your industry. Blogs a great way to bring your company’s history and current offerings to the forefront, and provide your customers with a cornucopia of information specific to your business. Regularly timed email campaigns afford you a way to keep your readers current on what your company is doing to set it apart from its competition. From special sales and events, to limited time offers, your SmallBusinessSEO.com email campaign will ensure all your customers and potentials are always up to date on your company’s happenings. Printed newsletters are virtually a thing of the past, mostly due to the low cost and expediency of a practical email campaign. You may want to consider a regular mailing of post cards instead. Postcards are a great, cost effective way to keep your customers informed of current sales and specials. Be sure to include a viable Call to Action (CTA) such as; Call SmallBusinessSEO.com Today at 347.391.4736 to Learn More About Our Products and Services. a solid foot hold in the twenty-first century!